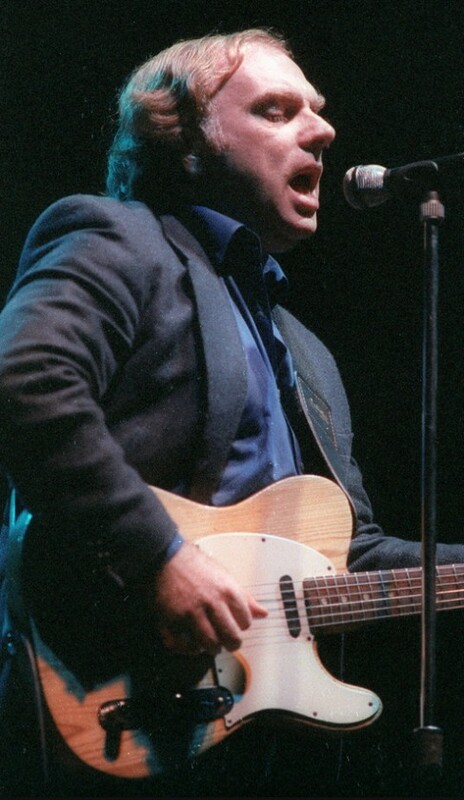 This post is inspired by a chapter in Peter Mills great book Hymns to the Silence: Inside the Words and Music of Van Morrison . Wikipedia: Exile means to be away from one’s home (i.e. city, state or country), while either being explicitly refused permission to return and/or being threatened with imprisonment or death upon return. It can be a form of punishment and solitude. Exile i a key theme in Morrison’s work & he also named his recording company ‘Exile’. 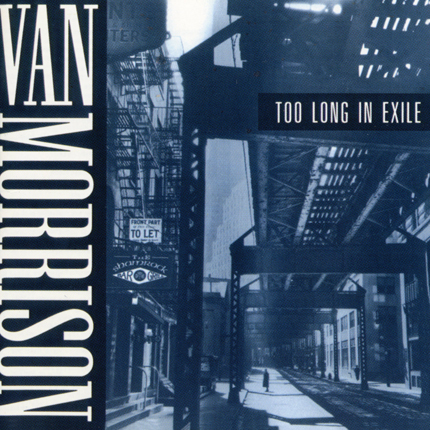 His foremost song about exile has to be “Too Long in Exile” – the title cut from his 1993 double album. Van Morrison poses the question in song, midway through this fine new album: “Whatever Happened to P.J. Proby?” The answer: Proby has a Web site. A U.S.-born singer who enjoyed a flash of British fame in the mid-Sixties, Proby now tells his tale and sells his wares on the Net, holding tight to his precious place in rock lore. Screaming Lord Sutch isn’t here to appreciate his name check in the second verse. An English rock pioneer and early employer of Jimmy Page and Ritchie Blackmore, Sutch died by his own hand in June 1999, forgotten by all but the most obsessive record collectors.Morrison was fronting Them in Sutch’s and Proby’s heydays, and “Whatever Happened” — a noirish blues with a creeping-wolf rhythm — is a salute to lost and stranded peers, sung with pugnacious affection. 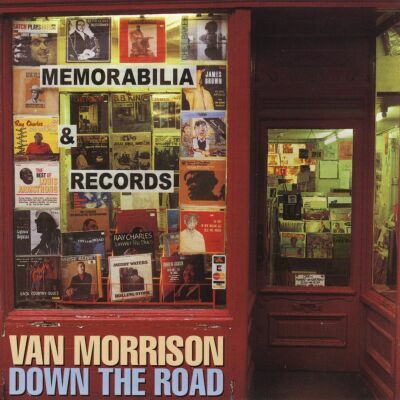 It is also top Morrison, a biting indictment of pop today (“There’s nothing to relate to anymore/Unless you want to be mediocre”) and a personal statement of bulldog purpose: “Facing head-on and doing it my way.” Morrison spends the rest of Down the Road living up to that promise. For me, it was Kerouac. I working with this geezer who was reading all this stuff so he gave me a few books by Kerouac and then Sartre, Nausea. Things like that. Initially you go – woh! – when you’re 58 it’s a different take but I suppose I still have the same influences. Even now, I can still see the direct line back to those kind of things. From Wikipedia: On the Road is a novel by American writer Jack Kerouac. On The Road is based on the travels of Kerouac and his friends across America. 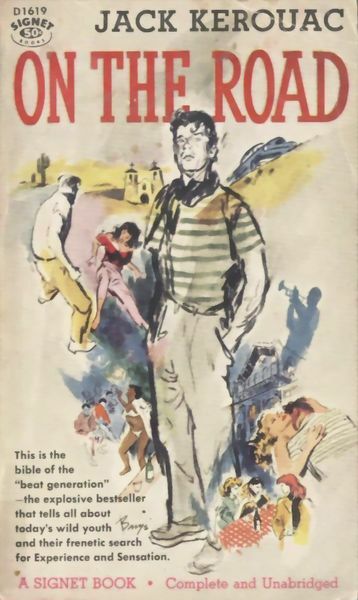 It is considered a defining work of the postwar Beat Generation with its protagonists living life against a backdrop of jazz,poetry, and drug use.The idea for On The Road formed during the late 1940s; it was to be Kerouac’s second novel. It underwent several drafts before Kerouac completed it in April 1951. -It was first published by Viking Press in 1957.When the book was originally released, The New York Times hailed it as “the most beautifully executed, the clearest and the most important utterance yet made by the generation Kerouac himself named years ago as ‘beat,’ and whose principal avatar he is.” In 1998, the Modern Library ranked On the Road 55th on its list of the 100 best English-language novels of the 20th century. The novel was chosen by Time magazine as one of the 100 best English-language novels from 1923 to 2005. First published in 1957, On the Road is full of dreamy, poetry-soaked evocations of the pleasures of eternal movement. ……if you read the novel with an eye on it’s effect on Morrison’s work, there are innumerable points of contact. 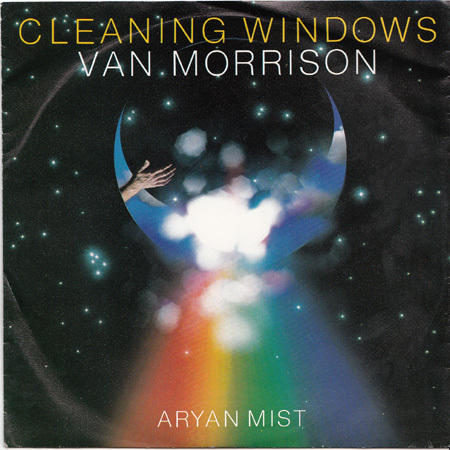 The version of “Cleaning Windows” that was released as a single and was included on the 1982 album was recorded at the Record Plant Studios in Sausalito, California on July 27, 1981. 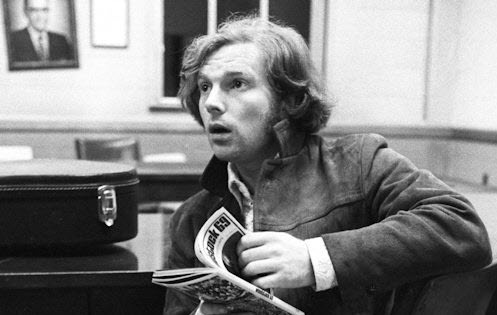 The biographically-based song chronicles a cheerful and nostalgic look back at a carefree time in Morrison’s life when he was still a part-time musician, playing saxophone at the weekend. He names his favorite musical artists of the time such as Muddy Waters, Jimmie Rodgers, Lead Belly, along with author Jack Kerouac and his books, The Dharma Bums and On the Road,, and even Buddhist Christmas Humphreys and his “.. book on Zen.” He was soon to leave his boyhood behind and after joining the Monarchs, spend several months in Scotland, Germany and England touring with them as the International Monarchs.